Haunted Magazine: PRINT JUST GOT SCARY: is Haunted Magazine possibly paranormal's premier printed paraphernalia - perhaps? 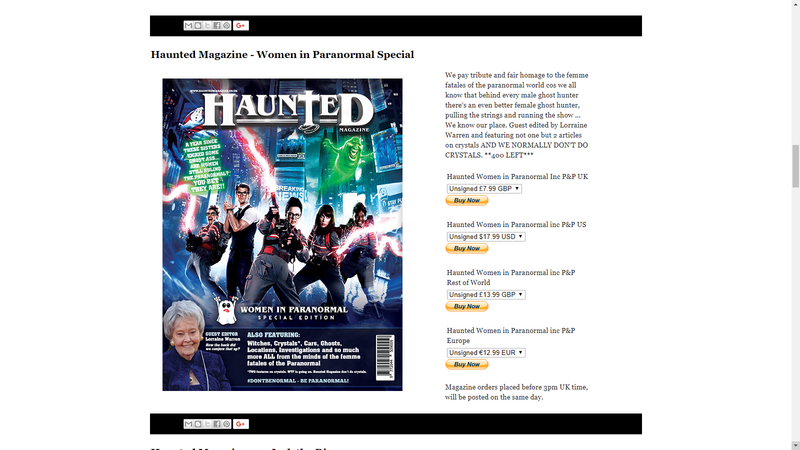 PRINT JUST GOT SCARY: is Haunted Magazine possibly paranormal's premier printed paraphernalia - perhaps? 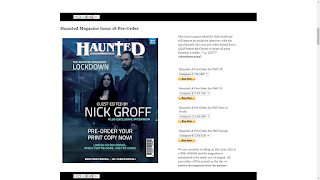 Issues 15, The Women In Paranormal Special, 17 and the pre-order of 18 (guest edited by Nick Groff) are available to purchase and be delivered to anywhere in the world. 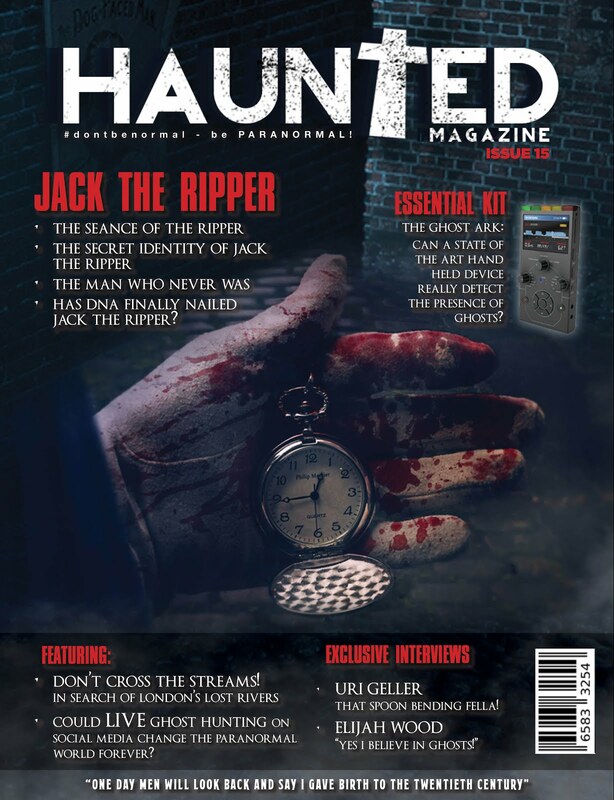 If you're the person who has bought issue 15 from somewhere in The Vatican City, do us a little prayer before bedtime if you don't mind, not even going to joke about paying via your Papal account. 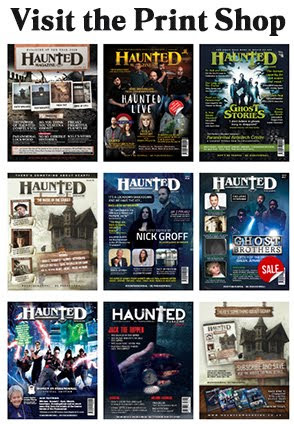 Whilst Haunted Magazine will always be FREE in its digital format, over 135,000 readers per issue obviously agree with us, there has always been that little bit of a nostalgic twinkle in our eyes for a printed version, some of our readers have always asked for a printed version but whilst nodded our heads and agreed with them, it needed to be done properly and costed to see if it was viable. 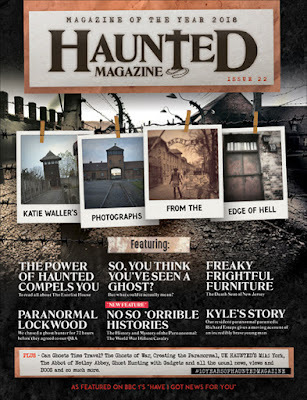 People say that Haunted Magazine has a cult following, least I think they say cult. 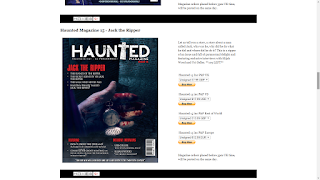 To have so many people read the digital magazine is amazing and from all over the world too. 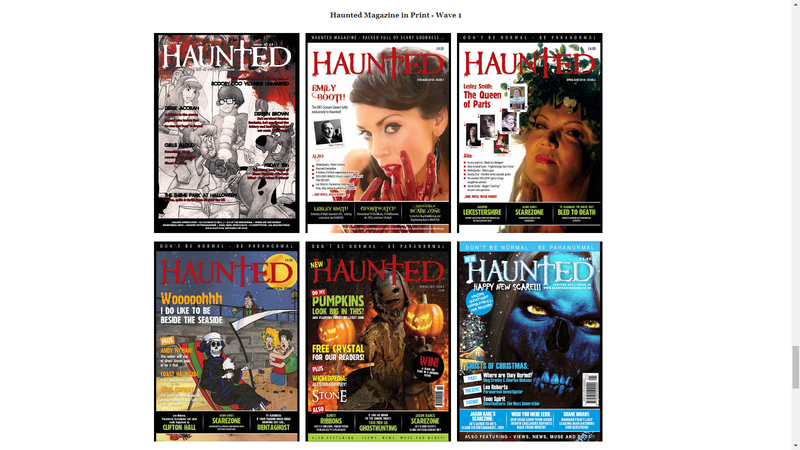 BUT I can remember when I first saw Haunted Magazine in the shops, I stood there for, I don't know, 15, 20 minutes, maybe longer just looking at it, I will even admit to shifting all 4 copies that were on the shelf to make sure that they were on view, shush, and if WHSmith Mansfield is reading this, please forgive me. 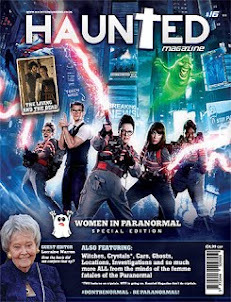 A DOLL ON THE FRONT COVER? 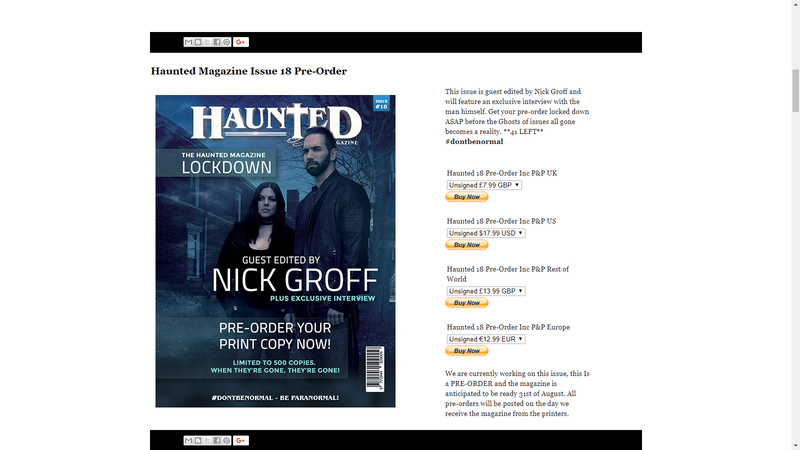 The printed magazines are part of our DNA and so it was, i guess, inevitable in the end that we would return to print. 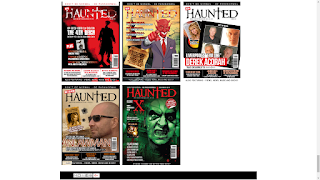 We are only printing 500 copies of each, we made this decision for a few reasons, mainly we wanted the print copies to be available in a limited edition format, which would in turn make them either highly collectable or not hogging too many waste paper bins across the world. 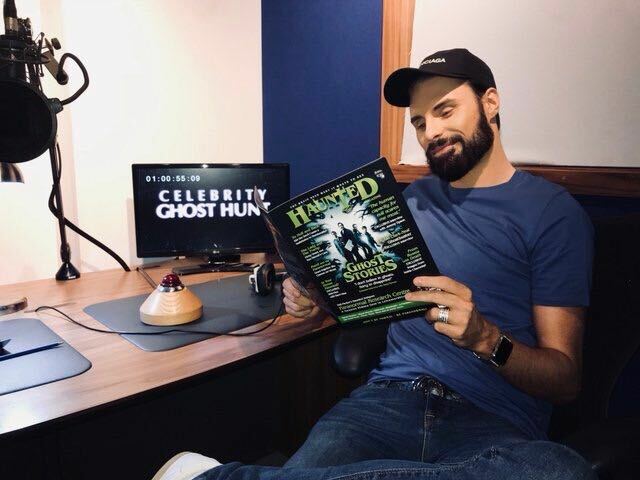 And of course, cost plays a major part, there's no point denying it, one thing we wanted to do was to make sure the magazine was as cheap to purchase as we could possibly make it for the readers. 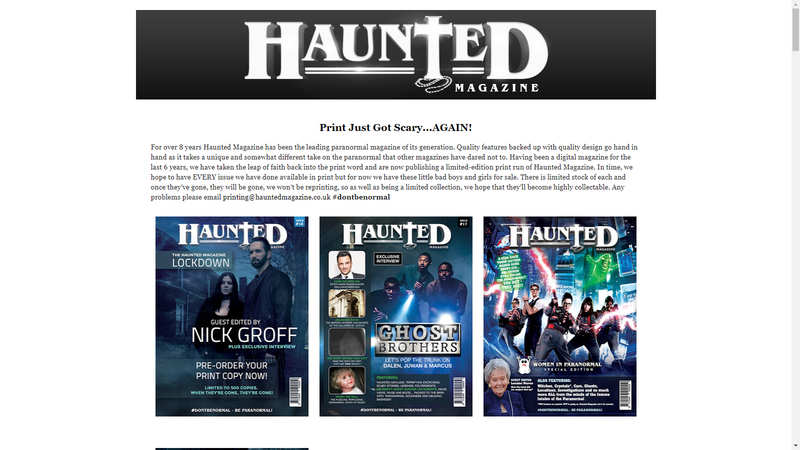 Yes, it's always nice to make money so that printing Haunted Magazine becomes a regular thing but if it wasn't for our readers, the magazine wouldn't be what it is. The cover is page 1 of the magazine, it's that what is in the shop window, and viewed by people first. 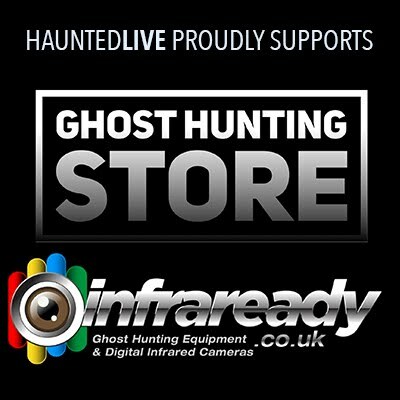 Quality features backed up with quality design, to us, they go hand in hand, one compliments the other and one can't work without the other. We hand pick the writers, some of which we are good friends with, some people are embedded in the paranormal world and have that little bit of something special that we like, others are new writers who have something to say, new or old, they are a perfect fit for Haunted Magazine. They know how we work and they know what works. 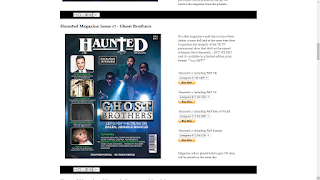 The magazine is designed, written, produced and published for lovers of the paranormal, WE LOVE THE PARANORMAL and the magazine reflects that. 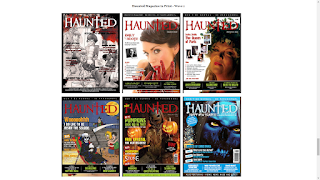 You can also check out a little bit of Haunted Magazine by checking out every cover of Haunted since we first started back in 2009. At the end of the day, the paranormal is here to stay, and so are we, check out Haunted Magazine in print by visiting https://hauntedmagazineprintshop.blogspot.co.uk/ and remember whether you read it for free online or purchase a print copy that's down to you, this is your paranormal journey, we're just happy to be along for some of the ride. 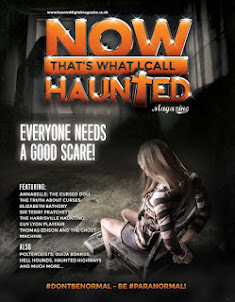 What an interesting campaign! 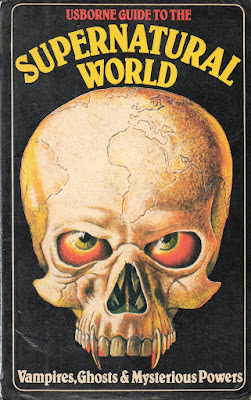 I will check out you blog and read some posts. Thank you for information. 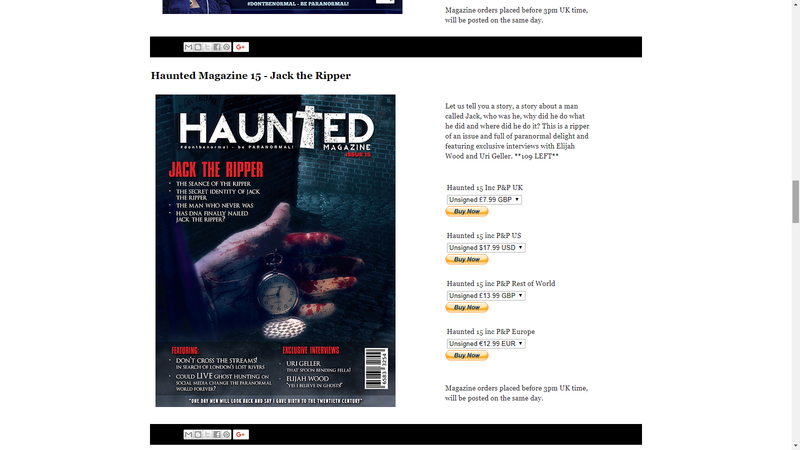 I also have a blog supremedissertations.com and if you want you can check it.